This recipe came about as I had shitake mushrooms in the refrigerator that I needed to use up. I found this surprisingly delicious, it was so nice. I had never added soy sauce to eggs, what a great flavour. 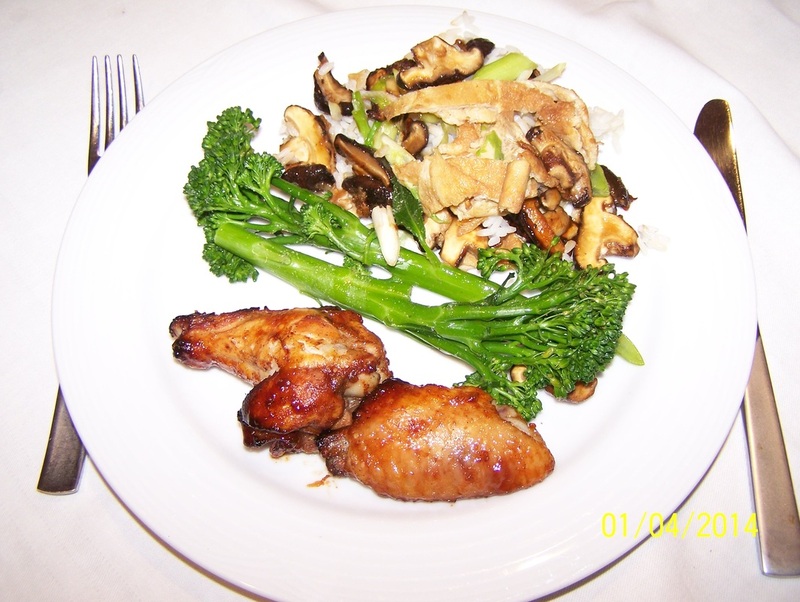 I served it as a side to Honey Soy Chicken and Broccolini. If you want a vegetarian dish just serve it with the broccolini. With the leftovers, I just made some extra eggs, and heated up the rice and mushrooms and had it the next day. Loved it then also. This is a very simple dish, perfect for a quick, yet flavoursome lunch. Beat eggs with soy, season with pepper. Heat a non stick frying pan over medium heat, add half the oil and when hot, pour in the eggs, swirling pan to coat the base of the frying pan. Cook until the omelette is just set. Sprinkle with a little spring onion. Using an egg flipper, carefully roll up the omelette. Slide out onto a board, chop up roughly into shreds. Return the pan to the heat, add the remaining oil, ginger and garlic, fry for 1 minute. Add mushrooms, stir fry until wilted, then add the oyster sauce and stir to combine. 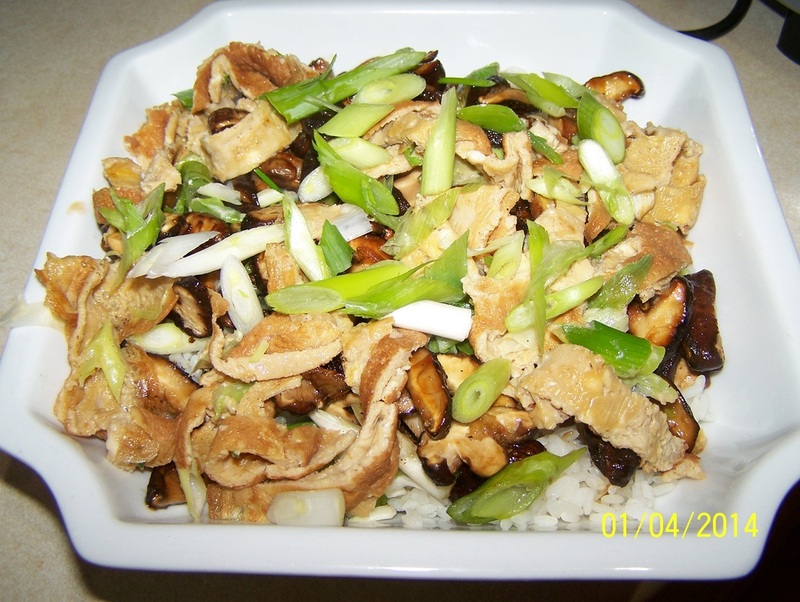 Place rice in a serving dish, top with mushrooms and omelette. Garnish with remaining spring onion, serve with broccolini.